An out-of-court settlement over bladder cancer could lead to a flood of claims, according to lawyers. A worker at Rover Cars, Brian Odell, developed bladder cancer after being heavily exposed to mineral oils that are commonly used in the maintenance of manufacturing machinery. Lawyers said the £168,000 award could set a precedent for others to pursue factory owners for similar claims. They claim the oils are absorbed through the skin and enter the circulatory system, eventually ending up in the bladder and liver. Rover Cars did not admit liability. 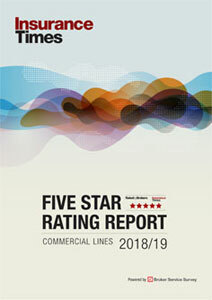 Standard & Poor's (S&P) has affirmed its negative outlook for the European reinsurance market, indicating the financial strength ratings for the market are more likely to be downgraded than remain the same. 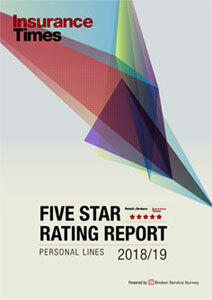 The rating is a result of the poor performance of the reinsurance sector in 1999 and 2000. Citigroup, the world's largest financial company, is to shed more than 3,000 jobs, following a prolonged downturn in global financial markets. The company operates banking and insurance brokerage operations in 100 countries, including the UK. Last year the group slashed 7,000 jobs and the total job losses for this year have topped 4,000. Norwich Union is urging employers to take the issue of health and safety seriously to reverse the increase in deaths at work. There was a 34% rise in fatal injuries at work in the period 2000/ 2001, with 295 deaths compared to 220 the previous year. “The majority of fatalities in the workplace are preventable,” said product manager for Norwich Union Risk Services, Teresa Budworth. She said every business should put health and safety at the top of its agenda and analyse all accidents and how they could be prevented in the future. Willis Group Holdings has this week launched a specialist website for yacht and pleasure craft insurance. The new site, willis.com/yachting, allows prospective clients to obtain quotations and details of services. As well as cover for sailing vessels, Willis also offers third-party liability for water skiers, jet skiers and wave runners. It also provides cover for all aspects of the yacht construction process. English Matthews Brockman (EMB), the UK specialist non-life actuary, has opened an office in Cologne, Germany. EMB Deutschland will be run jointly by Dr Knut Schaefer and Frank Sommerfeld. The office will offer a number of consultancy services such as pricing, reserving and reinsurance.